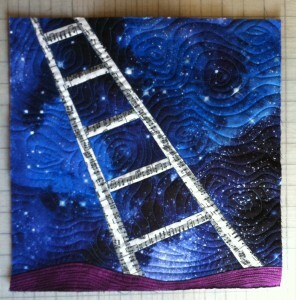 Today I’m working on a 12 x 12 version of the quilt I made yesterday. I’m doing this so that I can work out how to quilt it on the smaller one. 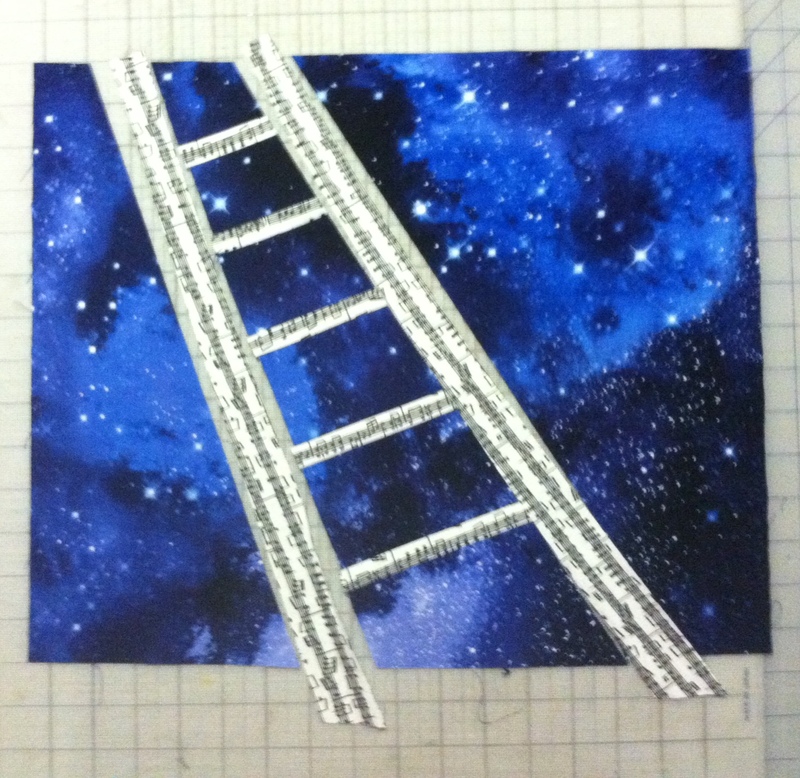 Also, this way I’ll have something to show tomorrow when my 12 x 12 group meets. 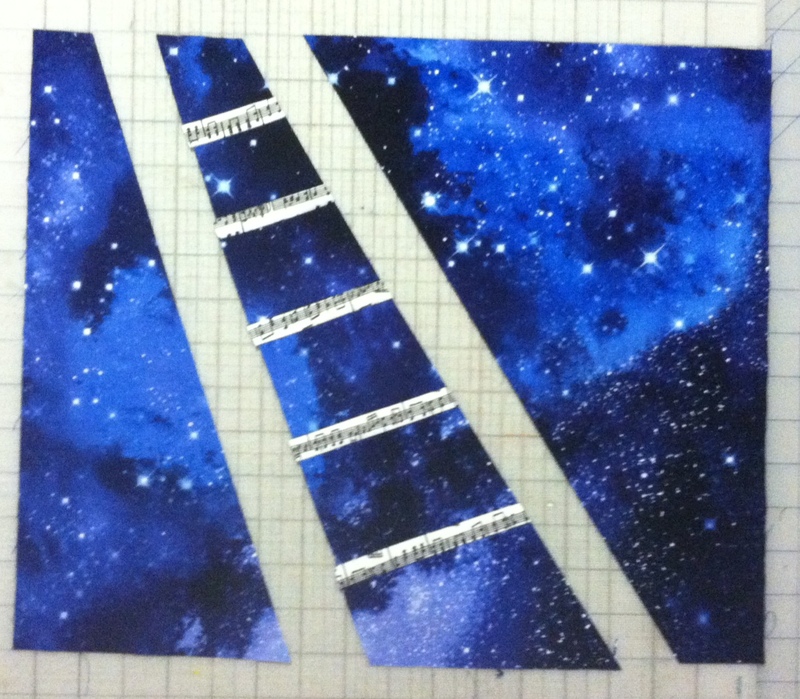 Since I forgot to take photos of my process yesterday, I’m doing it now. 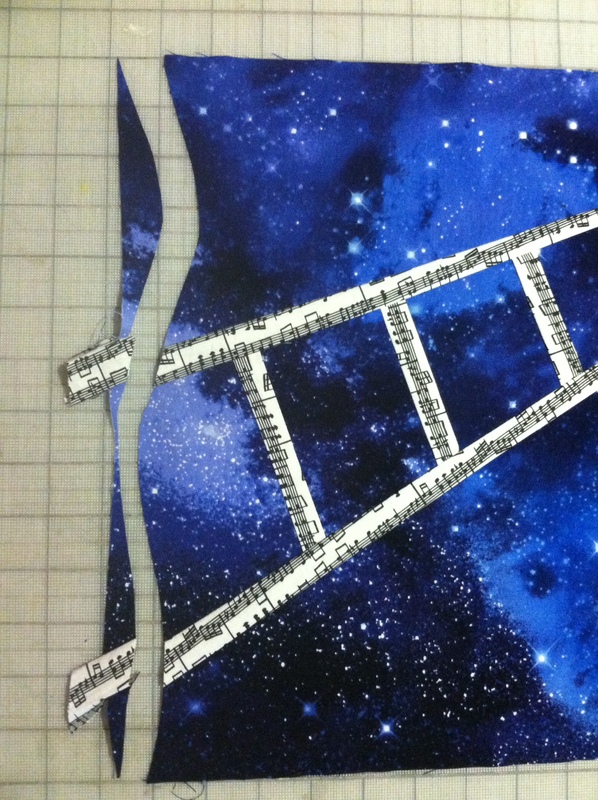 The rungs are sewn to the background, now I’m going to sew the long part of the ladder to the rungs, and then to the background. Now I’ve cut a curved line on the bottom to add the land. 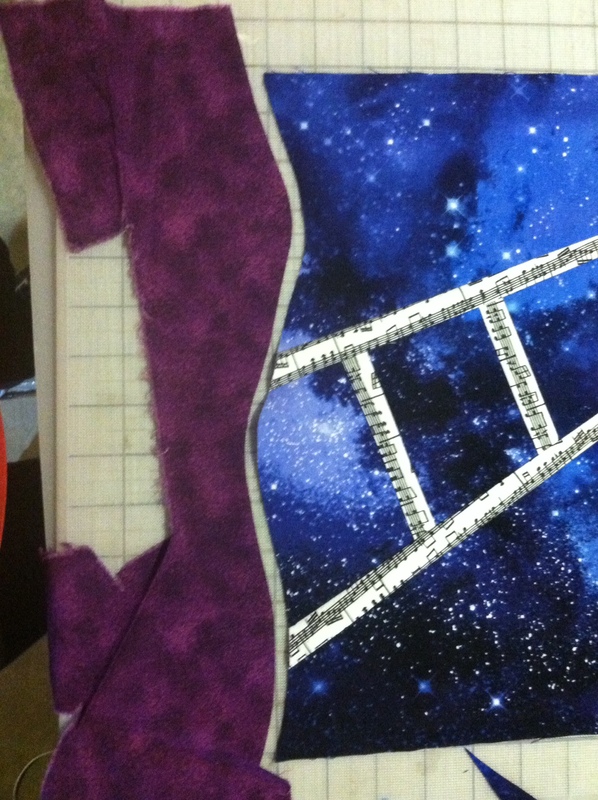 I’ve cut the purple fabric to match the curves, then I sewed them together. I still haven’t figured out how I’m going to do this on my larger quilt. Here it is, all quilted, and ready for binding! I wasn’t sure how I was going to quilt it until I just started doing it.